Yesterday I received the following in an email from Delfina Perka. My friend and my longtime teammate Kamilla is not with us any more. She died on September 10. She was only 61 years old. She was very special, colorful, unpredictable, full of surprises and energy. I've asked her numerous times where was her fountain of energy because it was almost impossible to keep up with her pace. Still, I don't know. Kamilla was an exceptional athlete, she participated in four Olympic Games! Fencing has been her life. I will miss her..... Goodbye my friend. Am very sad to hear this news. Kamilla was quite a wonderful person, once you got to know her. I was sad when she moved away from us, but as she was going to be near her family, it was very fogivable. I remember being intimidated by her at first, then I learned how much personality she had. I'm sorry to hear she has passed on. I admit to a similar reaction as Nicole and I grew to know her. She was a hoot! I experienced a great range of emotions upon receiving John's note. I am always happy to hear from my friends in Texas but this news just depressed me. I had the good fortune to work with Kamilla at Bayou City. She was the very definition of an enigma. She was so caring and understanding with our little ones and so hard on the rest. She always demanded the best from herself and others. 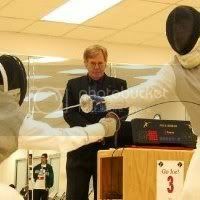 I can honestly say that Kamilla had a dramatic effect on my view of fencing. I can remember telling Louise that teaching fencing to 6 year old kids was not worth her time. Kamilla took that as a challenge and began teaching foil to a class of 6-7 six year olds. I was absolutely astonished when I came into the club one day and saw that she had the kids bouting - with one of their class mates refereeing. And they were getting it right!!!! A true testament to her tenacity and teaching ability. I was lucky to have known Kamilla. My life was enriched and changed for the better knowing her. Fencing lost a true friend with her passing. My first impression of Kamilla was that of a somewhat formidable presence, not terribly approachable. I recall that it was with some trepidation that we (CLFC) first approached her to referee at one of our tournaments. During the (brief) moments of downtime, she completely won many of us over. She was very vibrant, with strong opinions and diverse interests. I found she was easy to like and commanded respect. She was tireless as a worker. During the bad old days of strong, often openly acrimonious differences between the clubs in this division, she was the unanimous choice of the fencers on both sides in a less than friendly team foil bout between Salle Mauro and South Houston. She stepped in, controlled a fairly electric encounter and generated no complaints to the bout committee. I know some of those kids did not particularly like her. A few were a bit afraid of her. All of them trusted her honestly and fairness. At the end, each thanked her and shook her hand. Kamilla changed my life, and I'm sure she had the same effect on many others. I will never forget when, in my first ever fencing class, she told me to hit her with my foil and the look on her face when I stood stone still in response. It was a look of irritation and impatience, a questioning of why one would waste one's life on hesitation or self-doubt. I finished the beginner's session because it was paid for and eventually got up the courage to attend the regular nighttime classes. I soon learned, especially after starting private lessons with Kamilla, that I could, if I tried hard, meet her expectations. I saw how she saw herself as an athlete. She stood like one. She was a warrior. She was also a mother. I eventually realized you could be a grown-up, a worker, a mom and an athlete. That attitude now affects my approach to most everything in life. Because of Kamilla, I hesitate much less. I act more, and I believe in more. Kamilla ate life. 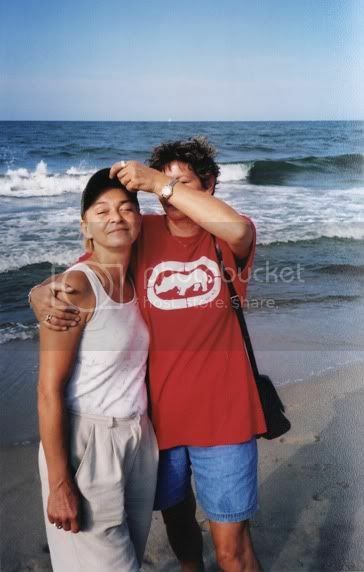 She loved food, traveling, good friends, her kids and taking pictures. She was in four Olympics! I'm glad she spent the last years doing what she loved and being close to her family. I always hoped to visit her over there one day. Our time together was short, but her impact was profound. Much love and thanks to you, Kamilla. Best wishes to all those like myself who were fortunate enough to meet and be inspired by her.